With so many videographers to choose from, it's hard to decide. 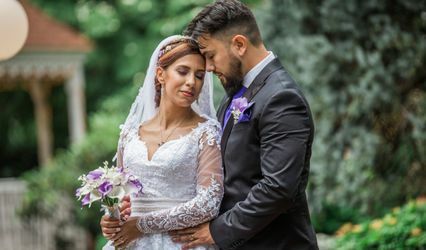 So we've made it easy by giving you all our work, video samples, photo extract gallery samples, and prices, right on the website: www.V3videography.com . You can even make payments right on the website at your convenience, which will save you travel time and trips to the post office. My name is Rey, and our DVD package starts at $600. If you only want raw files, our prices start at $350. So come check us out at www.V3videography.com . V3 was fantastic! We had a lot of changes in our wedding and he worked with us and was extremely helpful. He capture beautiful and unique shots and had the video footage back to us in hours. We looked at many vendors in the New York area and his price and quality were the best hands down. Rey was all that and more. He was a pleasure to work with and although I had to work with him on a number of occasions to make changes to the final cut, he was always courteous, professional and very accomodating, even once completing the work on time in spite of being a bit unwell. 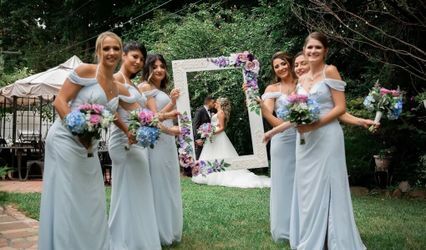 My wife and I were extremely pleased with the work he did and have no hesitation in HIGHLY recommending him for doing videography work for your event (if required). Thanks, Rey - we have excellent memories ! We had v3 videography film our wedding. They were very professional all dressed very well. They showed up on time and were never right in your face annoying you with cameras. They stayed all day from makeup till the last dance catching ever memory for us. I recently just previewed my highlight clip and it was amazing! I showed all my family and friends and they said it brought them all in tears of how great it was. Not only was I impressed with the quality of the video but he was the most reasonable videographer I found online.You can not go wrong with choosing V3 and you definatly won't be disappointed .